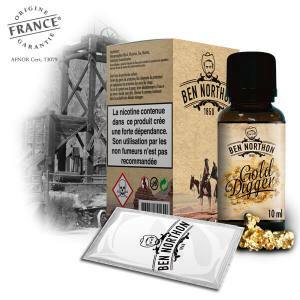 Ben Northon is a brand of E Liquids with authentic Classic Flavours. Entirely fabricated in France, the Ben Northon is an invitaion to travel the mystic plains through Western America. The Ben Northon E Liquids are prepared in a 50/50 Propylene Glycol and Vegetable Glycerine to be appreciated with all Electronic Cigarettes. 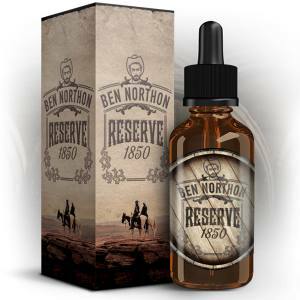 The Ben Northon E Liquids are available in a 10ml ,Bottle with different rates of Nicotine of choice. Discover the Love Blond, the Gold Digger and even the Black Horse, Classic flavours. Soft or Strong, subtle or authentic, the Ben Northon E Liquids are a beautiful collection, aromatic to be discovered in complete urgence. A precious recipe, matured with patience, gourmet with strong perfumes. One word: Unique! 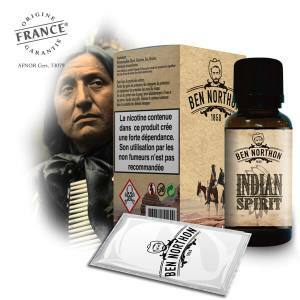 Indian Spirit is a Classic Blond with character, Dry and Natural. A Classic Blond, toasted which begins on a golden and sweet note which has roasted peanut flavours. An aromatic nugget, sometimes soft, light, round and slightly golden. For amateurs of Classic Blond.